Red Wine, Green Tea and Dark Chocolate: Benefits of Grass Fed Beef. There are many reasons to choose grass fed beef over grain fed cattle. 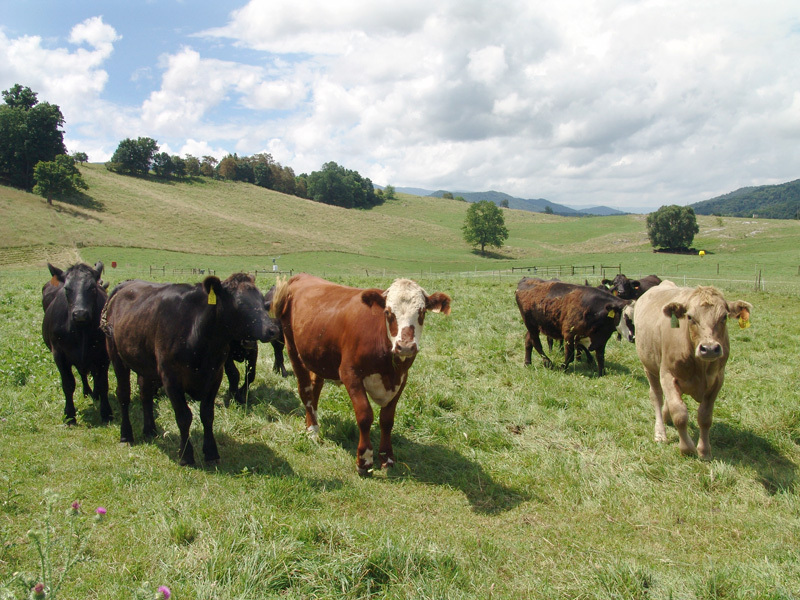 Open pasture cattle farms are better for the environment. Methods of raising and slaughtering grass fed cattle are usually much more humane. Unlike their feed lot counterparts, grass fed cows are typically not given harmful antibiotics and hormones. Grain fed cattle raised at feedlots are also much more likely to consume chicken manure, garbage and other waste products in addition to the grain. Grass fed beef not only has more nutrients than grain fed beef, but is less likely to have been exposed to unhealthy microbes, drugs and contaminants. Grass fed beef is not only much leaner than the grain fed variety, it contains twice as many omega 3 fatty acids. These "healthy fats" are essential to human nutrition and are even beneficial to cardiovascular health. Grass fed beef has lower levels of cholesterol than grain fed beef. High cholesterol has damaging effects on the cardiovascular system and can increase the risk of heart disease and heart attack. Antioxidants The amount of vitamin A, vitamin E and other antioxidants in grass fed beef dwarfs that in grain fed beef. These antioxidants play a critical role in fighting free radical cell damage and protecting the body from cancer and age-related sickness and disease. Grass fed beef has twice as many conjugated linoleic acid isomers (CLAs), another healthy fat, as regular beef. CLAs have anti-cancer properties and are believed to lower the risk of developing diabetes. Higher intake of CLA is linked to weight loss. According to researchers at Cornell University, cows fed a diet of grain have about 300 times more E. coli bacteria in their stomachs than those fed a grass diet. E. coli obtained from grass fed beef also has a greater tolerance to human acidic defenses and is much more likely to make a person sick. Grain fed cattle, especially those crammed into tiny feedlots, are extremely prone to sickness and disease. For this reason, they are often fed copious amounts of antibiotics to keep them alive and to stimulate their growth. Eating the beef of these cattle can lead to antibiotic resistance in humans. Grass fed cattle are far less likely to get sick or to be given any antibiotics at all.